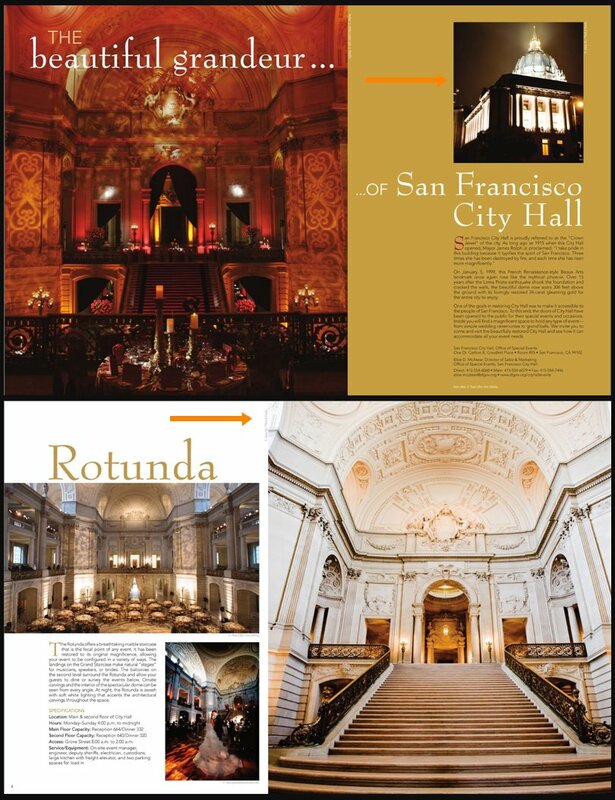 It is such my honor and I'm so proud to be published in the SF City Hall 2009 wedding brochure. If you have been following my post, probably you still remember in 2008 I've shot an awesome wedding for Sue and Andrew in SF City Hall. Couple months later, I got a news from my florist Annie Siu that the SF City Hall Marketing director had selected many of my images to be published in their 2009 Wedding brochure . and one of the magazine in New York is also planning to feature this wedding . Here are some pages in the brochure with my images on it.